Additional Information: Son of Thomas Dow, and of Margaret B. Dow (nee MacDougall), of Thornhill. 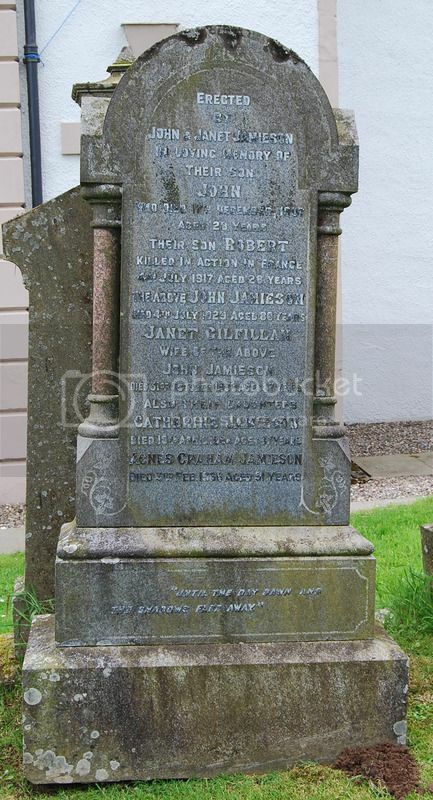 Additional Information:Son of John and Jessie Stewart McLaren, of Aberfoyle, Perthshire; husband of Marjory McLaren. 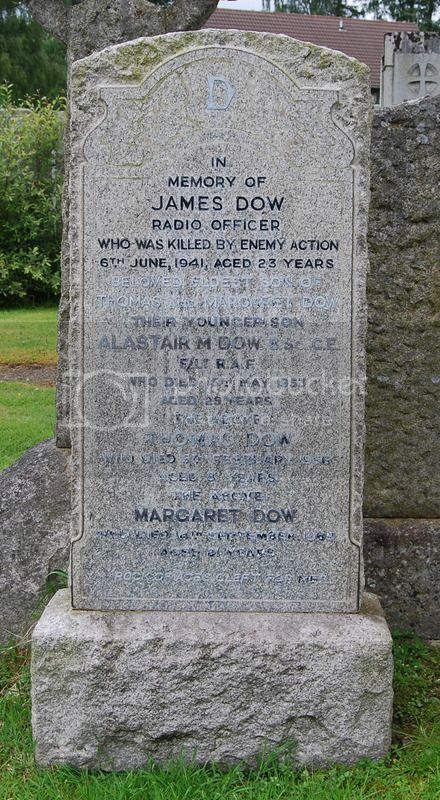 Anne - James Dow's brother is named on the Armed Forces Memorial. On the ball once yet Ken! 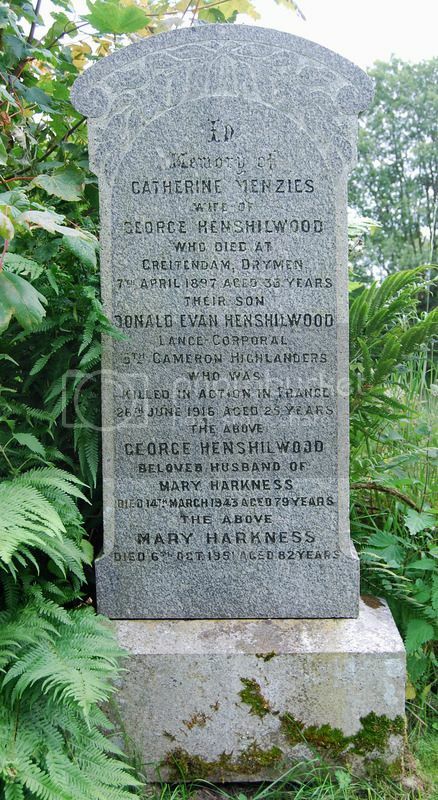 Additional Information: Son of Catherine Menzies and step-son of George Henshilwood. 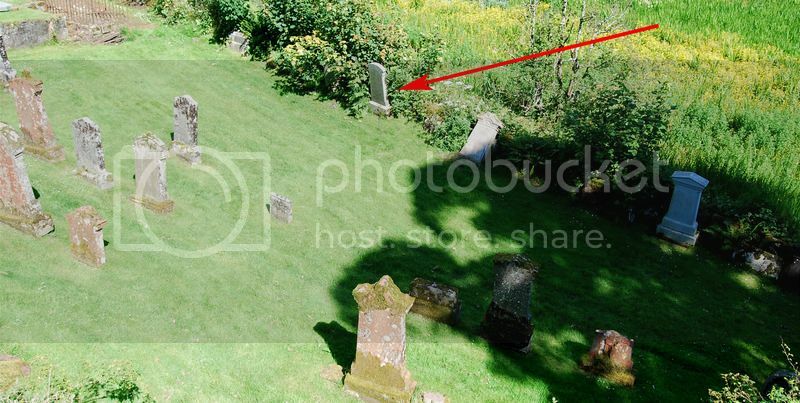 The photo below shows the location of the Henshilwood Family Lair, perhaps where George is also buried. 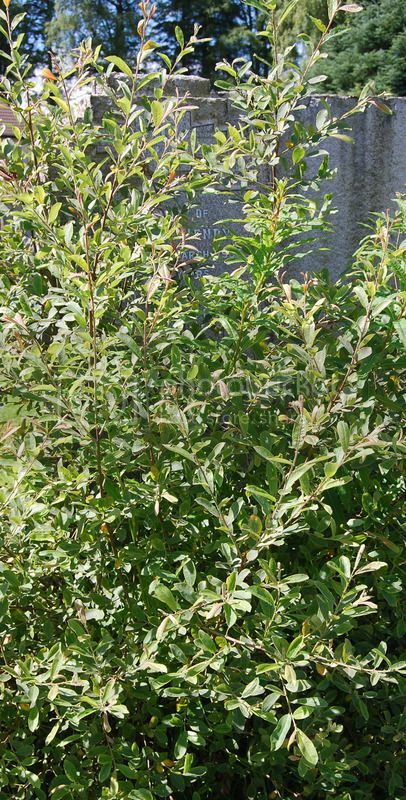 Place of Death: RAFVR Med. After Service in R.A.M.C., in Egypt. 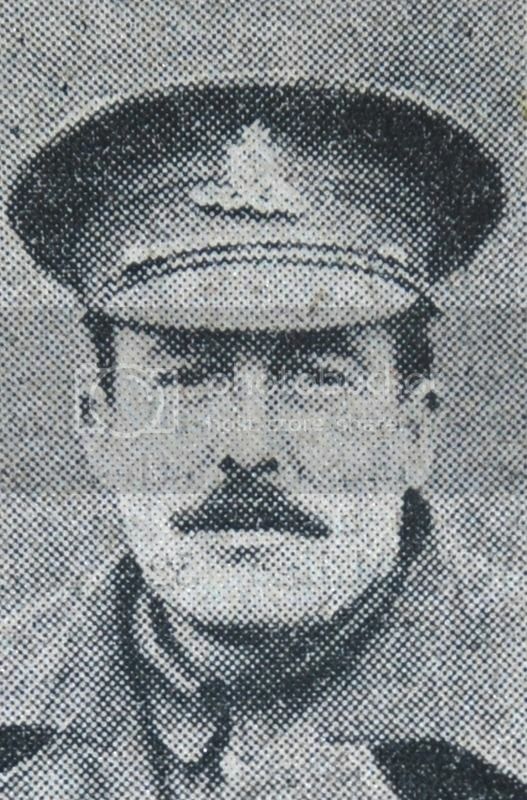 Enlisted 1st October 1916, Discharged 12th June 1918. Age on Discharge: 38 years 8 months. Cause of Death:Tuberculosis of Lungs & Larynx, 6 months. 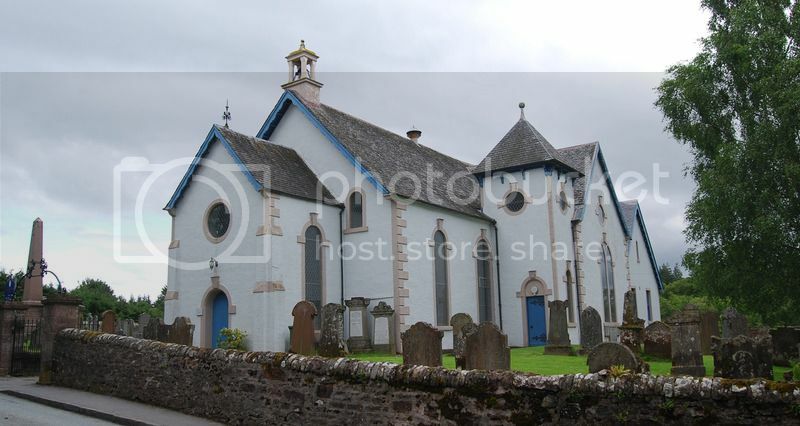 Additional Information: Son of George Henshilwood, Main Street, Drymen (And the late Catherine Henshilwood nee Menzies). 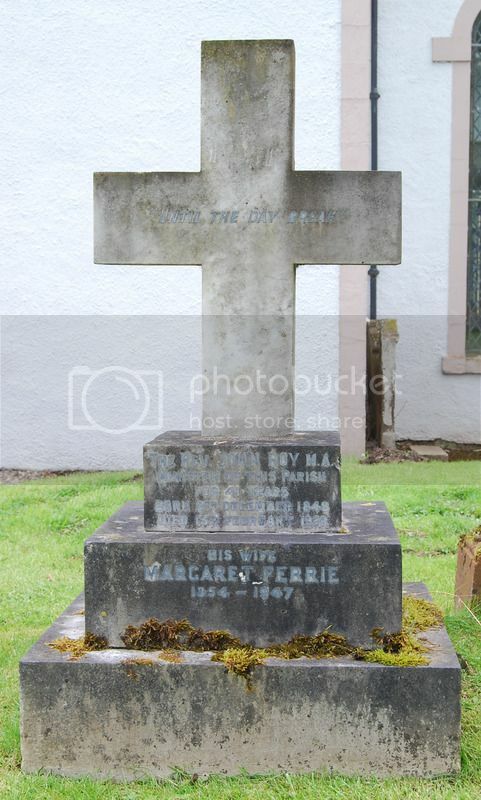 There is a strong possibility that George Menzies is also buried here, but although his place of burial has been verified as Drymen Parish Churchyard, the exact location is unknown. 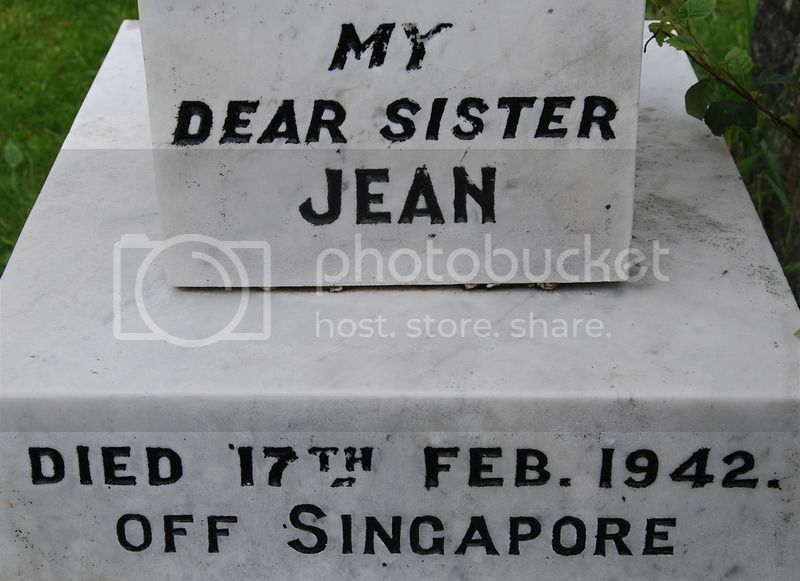 Note that the date on the stone does not exactly match that on CWGC or SNWM. 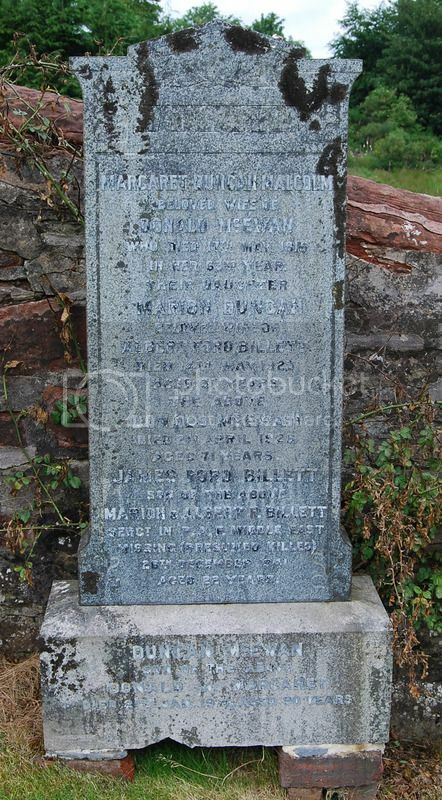 William F. Steel, Private, Royal Highlanders (Black Watch), Nos. 6545 & 292700. British War and Victory Medals. Killed in action in France 24th October 1918. Father John Steel. I nearly missed this one! 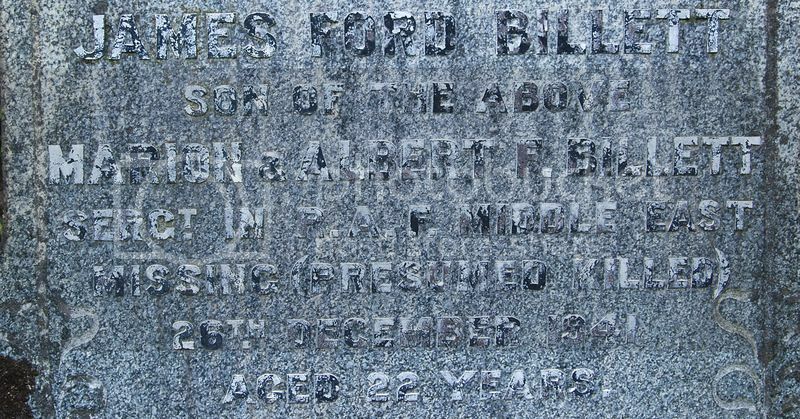 Additional Information: Husband of F. Liddell, of 21 Gloucester Street, Toronto, Canada. Died at Weihsien. Son of Rev. 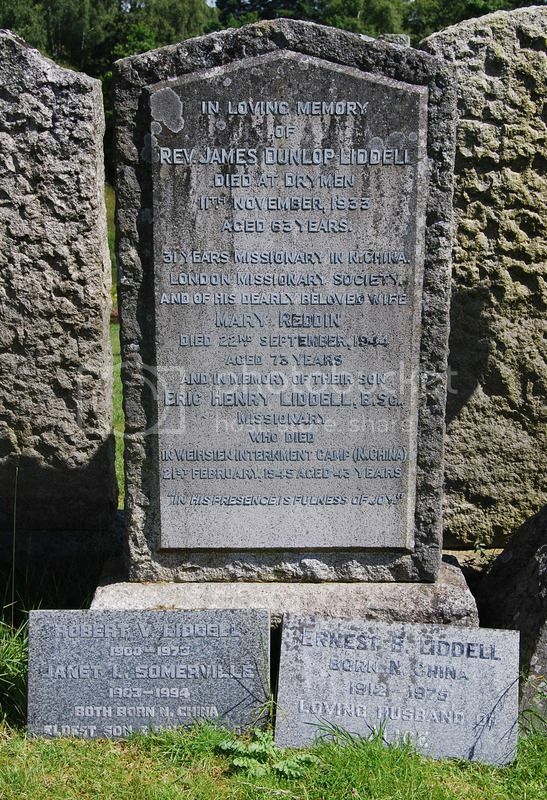 James Dunlop Liddell, Missionary (31 years Missionary in N. China, London Missionary Society) and Mary Liddell nee Reddin. According to the above article: "On August 17, 1945, two days after the official Japanese surrender to the Allies, a small rescue team parachuted from an American B24 Bomber. The team included six Americans (Major Stanley Staiger, Ensign Jimmy Moore, Lt. Jim Hannon, Ramond Hanchulak, Sgt. Peter Orlich, Sgt. Tad Nagaki) and one Chinese interpreter (Wang Chengnan). The mission, named ("Operation Duck") successfully liberated 1,400 allied civilian prisoners." I not only nearly missed this one too, but nearly gave up identifying him! Thanks to Ken Morrison for his superb sleuthing skills yet again! Regiment/Service: Royal Marines, R.M. Group. M.N.B.D.O.(1). Grave Reference: 2. R. 7. 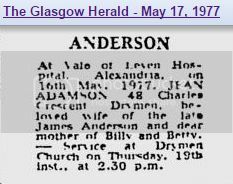 Additional Information: Son of James and Jean Anderson, of Drymen, Stirlingshire. 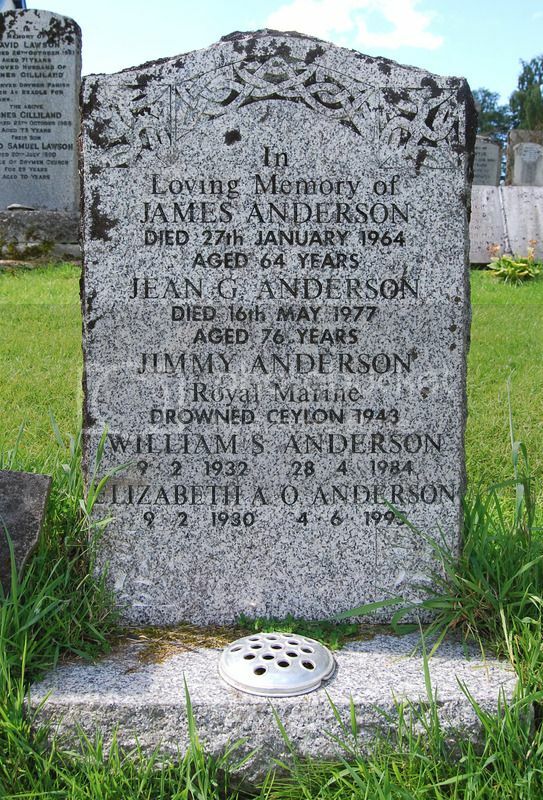 James (Jimmy) served under his mother's maiden surname of Adamson.